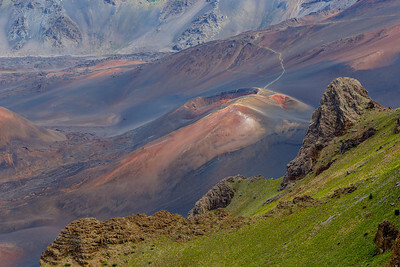 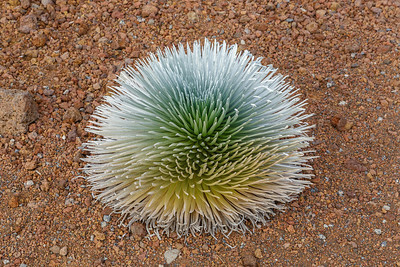 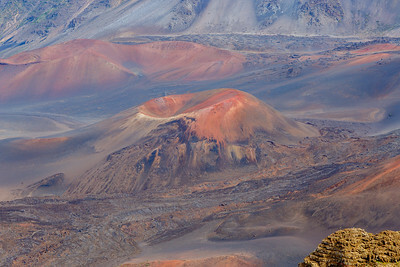 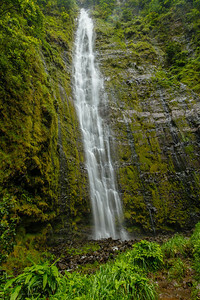 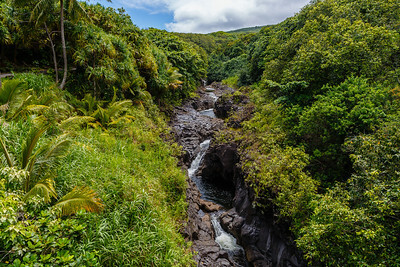 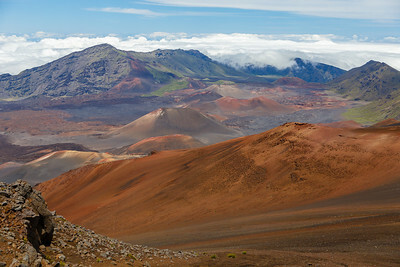 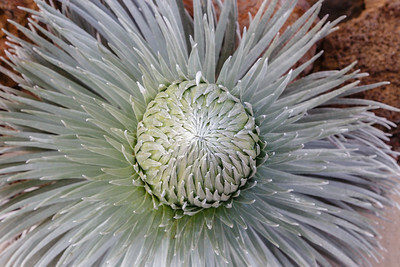 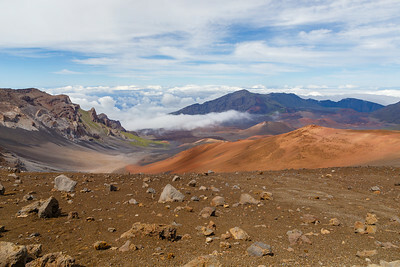 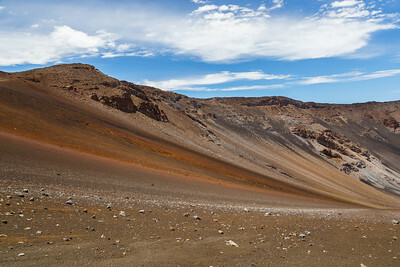 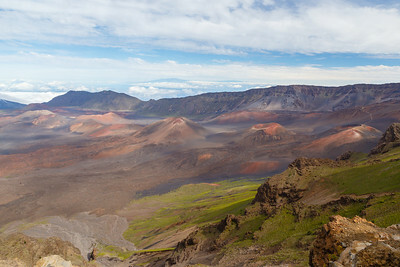 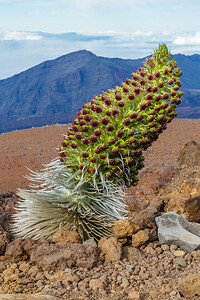 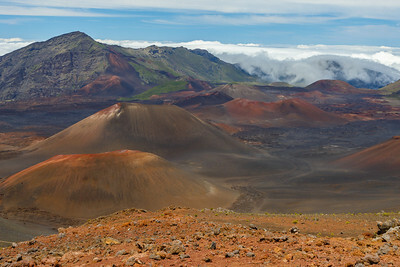 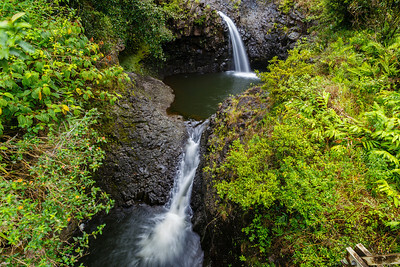 Home of the dormant Haleakala volcano and crater on the island of Maui, Hawaii. 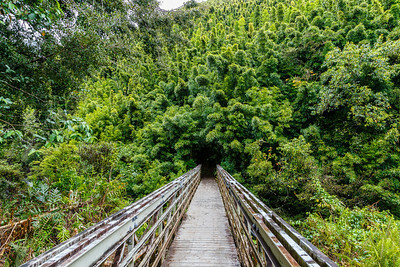 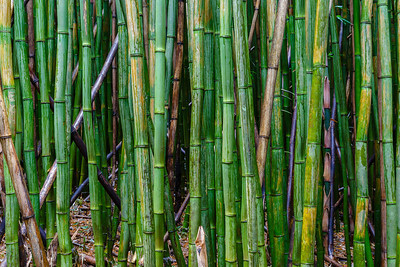 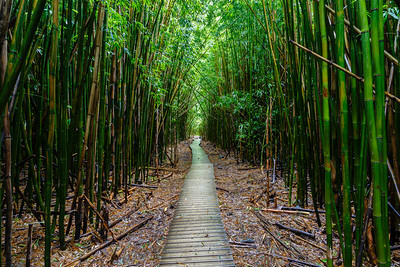 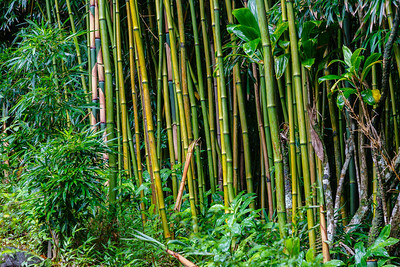 Entrance to a bamboo forest along the Pipiwai Trail. 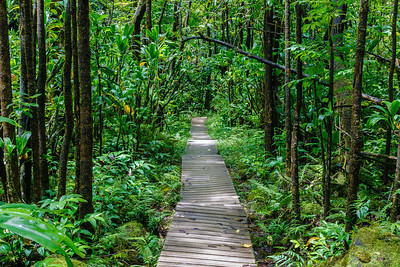 Much of the Pipiwai Trail is boardwalk.